‘Access all areas’ was the key for Rhyanne and Mike’s garden, and a path wide and smooth enough for Rhyanne’s wheel chair had to look really good as well since it was going to be such an important and visible part of the garden. That’s why we chose these beautiful ‘Terrestre’ brick-style pavers by Vande Moortel UK. They’re solid clay so the colour and texture never fades, and they’re fired to be frost resistant and durable. The Terrestre paver is thinner than a standard size brick or paver, and laid on edge, its scale works well in a garden setting and it can be laid to easy, gentle curves. A simple brush-in of kiln dried sand fills all the gaps and locks it into place. They come in a wide range of colours and cost from £30.00 per sq . One of Rhyanne’s heartfelt desires is to be able to sit outside in any weather to enjoy her garden. 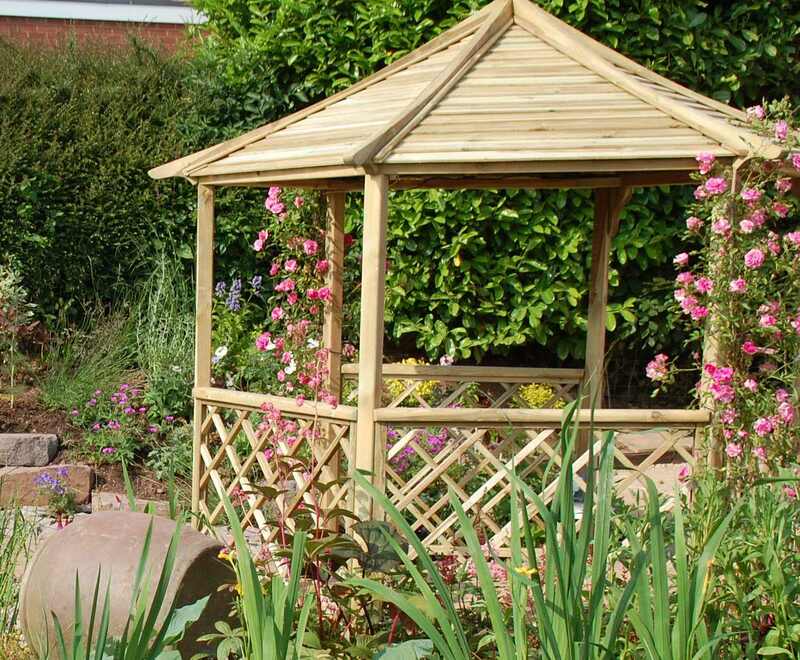 The ‘Gainsborough’ garden gazebo from Rowlinson Garden Products allows her to do just that, whether it’s sheltering her from the sun or the rain, letting her look out over the beautiful pond to the green house and Sedum-covered summer house beyond. Built from pressure treated FSC certificated sustainably sourced timber, the beautiful garden building comes with a solid floor and a variety of solid and trellis panels that can be configured to your requirements. It’s simple to assemble, and when erected, measures 3m wide (max. dimension) x 2.7m high. There was already a small pool with a few fish in the garden, but it was part of a raised deck which was inaccessible to Rhyanne, so she was unable to enjoy it. 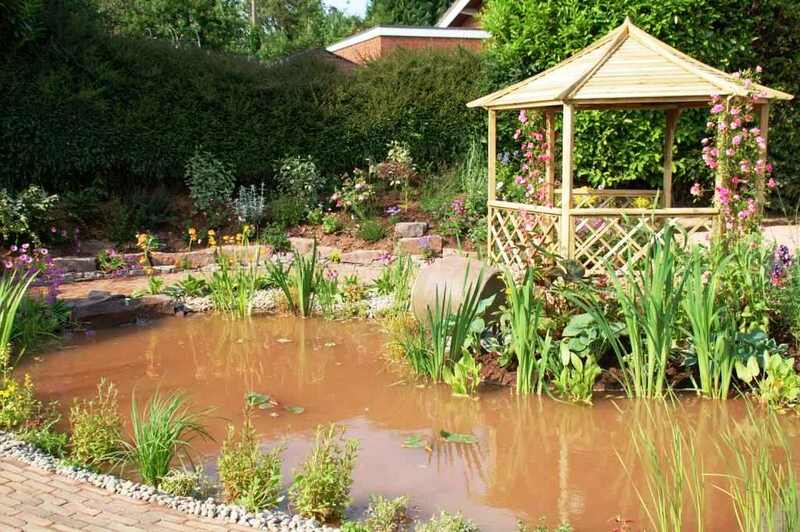 To bring nature into the garden, we decided that a wildlife-friendly pond should be a bold centrepiece, and Maidenhead Aquatics really pushed the boat out to make it possible, supplying the liner, pumps, filter and marginal plants. The large garden pond contains 14,000 litres of water which is retained with tough, UV resistant Firestone Rubber liner laid over a Geotextile membrane to protect it from any sharp stones pushing through from underneath. The water is circulated through a Bioforce Revolution 14000 filter using an Aquaforce 8000 pump. The liner and underlay cost £7.45 per sq mtr. To extend the growing options for Mike, Dunster House supplied this elegant, timber-framed greenhouse measuring 2.4 x 1.8m. The walls are constructed from sturdy 16mm shiplap and all the timber is pressure treated and guaranteed for 10 years against insect infestation and fungal decay. 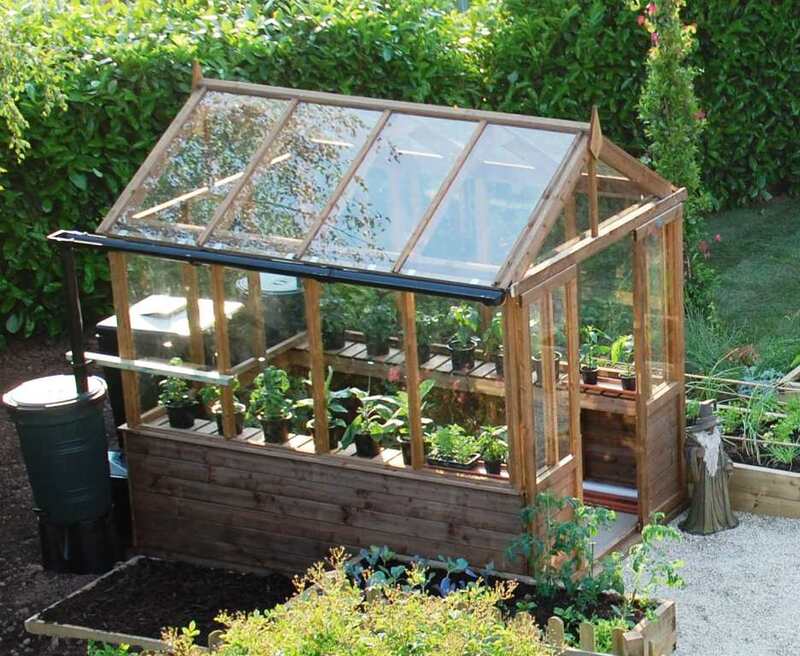 For safety, the traditional greenhouse is supplied with toughened glass, and for ease of access, the doors are double sliding, so no breakages from hinged doors slamming in the wind! With a full range of options from ventilation, to staging and water butts, the Daisiley fits beautifully into its natural rural setting. Mike and Rhyanne’s summer house was in a reasonable condition, but it was looking a little tired and the roof felt had definitely seen better days. Rather than simply replace it with more felt covering, which can look a little harsh, we took our inspiration from the school next door, the entire roof of which is covered in Sedum. 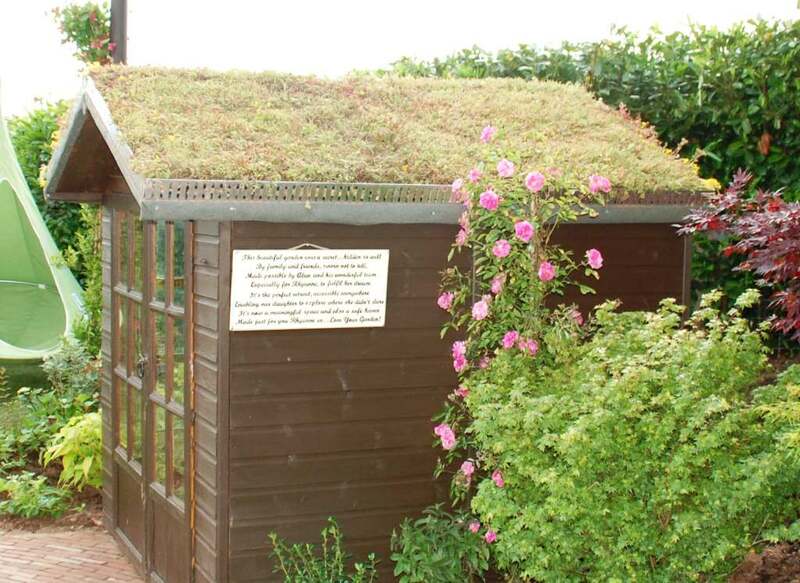 Sedum Blankets Ltd supplied us with its ‘Premium Sedum blanket pack’ which contains everything you need to produce your very own eco-friendly roof. We did re-felt the roof, but on top of that we put a special ‘egg box’-like plastic tray which acts as dozens of little water reservoirs and on top of that, a layer of light-weight expanded clay granules provided a rooting layer for the mat of Sedum to lay on and grow into. An aluminium upstand with drainage holes surrounds the whole roof and keeps the sedum roof securely in place. 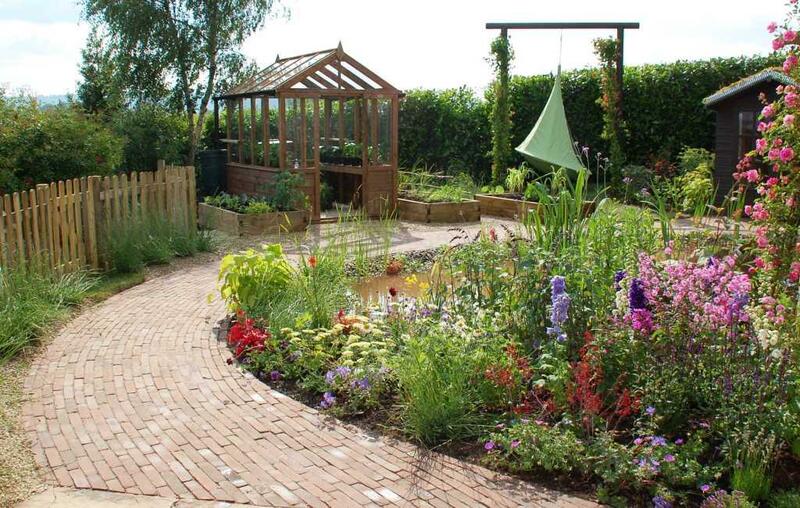 Sedum Blankets Ltd takes on projects of all scales from small domestic to large commercial. The price starts from £500 for 5 sq m.